Arctic belongs to Chris, he comes to work each day and sleeps. He is a beautiful six year old Siberian Husky. Daisy belongs to us she is a six year old Rottweiler she comes to work each day and sleeps with Arctic. I’m the General Manager and part owner of the business. I have been plumbing for some 40 years, the last 10 or so I have been office bound. My role in the company is overall management, invoicing and quoting. Raewyn is the Office Manager and the other part owner of the business. Raewyn has worked in the business from the start and has huge experience in all facets of the day to day running of the company. Tracey is our daughter, she works three days a week in the office, she deals with the day to day events and other office tasks. Chris is our son, he is a licenced plumber and drainlayer and works in our office mainly carrying out invoicing, but including other management work. He is approaching 15 years plumbing and drainage experience with the last 3 being office bound. Keith is a Licenced Plumber and Drainlayer he manages the incoming work load and works with our customers for their quoting needs. Keith has worked with us for over 20 years now, the last 10 of which have been served from the office desk. Tony is our longest standing member of staff, he has been with us for more than 22 years. He works mainly in the new housing area and is a very experienced tradesman. 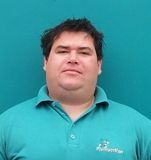 Jason is also a long standing staff member who is approaching the 20 year mark in 2012. Jason has worked many years in the new housing areas but over the last few years has shifted back to the maintenance division, a very skilled team member. Craig adds his special skills to our team, he has been at PlumberMan for 19 years and is a very important part of the unit. He controls our Health and Safety and runs specific maintenance contracts we have with specialised industrial clients. Steve has been with us for 10 years plus and works in all areas of our operation although with his vast experience he mostly works in the maintenance division. Nick is our youngest son, he is a plumber and drainlayer working in the new housing area. He completed his apprenticeship here and has accumulated 10 years plus experience with the team. 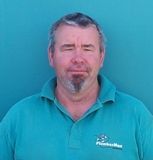 Richard has been with us for six years and is a very important part of our plumbing maintenance team. Louis has been with us for several years starting off as an adult apprentice. He has done very well throughout his apprenticeship and now works as a tradesman mainly in the maintenance area. Blair also is an apprentice, he has been here for five years and has just successfully completed his time, he works in the new housing and maintenance areas of our business. 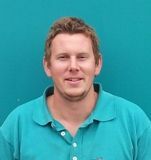 Jim is a certified drainlayer working solely in the drainage area he has been with us for two years and is very much a valued member of the team. His experience and qualification are a major plus for this company. Matt has recently joined us, he is manufacturing soak rings in our yard at present while we get the paperwork finalised for a start as a Plumbing and Drainage apprentice for 2012.